Sword against sword, magik against magik, dragon against dragon, the Battle for Galerir is being waged and victory will come with great sacrifice. 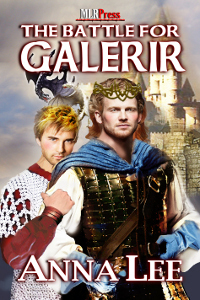 A traitorous plot seals King Antony's fate and the enemy is days away from reaching the kingdom of Galerir. Prince Tomas must become regent and ensure Galerir is prepared for war. Tomas must also learn to balance duty and love when he lifts the ban on magik and fights for the chance to openly love his knight, Griffin. Together, he and Griffin face their destiny.